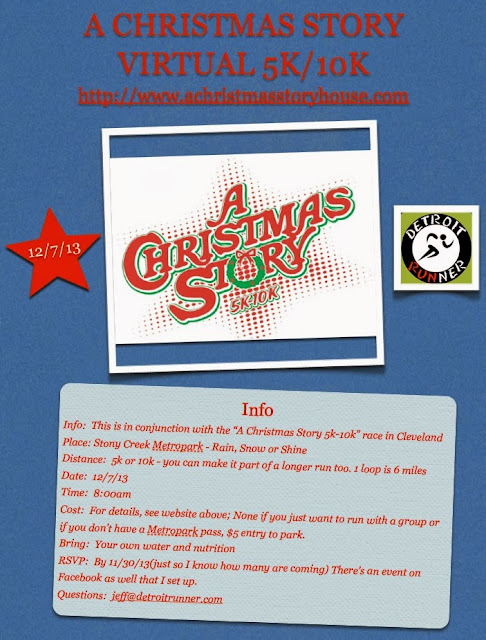 DETROIT RUNNER....: Christmas Story Virtual 5k/10k meetup? So who's in? I thought it would be fun to meet up and run. No pressure to actually sign up for the race. It's just an opportunity to get together and run in what could be crummy weather. What's more fun than doing a group run for free? Here's the link to Facebook(HERE) or just e-mail me if you are in. I'll join in virtually here from my side of the world.